I've realized that many of my readers don't understand Catholic persecution, Protestant persecution, or when or how those things happened. You know Christians were martyred, and you know ancient Rome put them to death, but you're not sure of the exact reasons—or times—that Protestant and Catholics put each other and dissident Christians to death. This story is meant to help you understand Catholic persecution. We'll do Protestant persecution on another page, where we will have to distinguish between the branches of Protestantism: Lutheran, Calvinist, and Zwinglian. For now, though, this is the story of Walter Mill, martyred by the Roman Catholic Church in Scotland in 1558. Scotland would soon become a Protestant nation—its reformation occurring in 1560—but in 1558 it was still Catholic. Walter Mill was a Scottish monk who heard the Gospel while traveling in Germany. Martin Luther had been dead for about a decade, but most German states were Protestant. Even Catholic England and Scotland were reading the Scriptures at this time, and the effects of the Reformation were running wild over all of Europe except Spain, Portugal, and Italy, where Roman Catholicism has a death grip—sometimes literally—even to this day. There were certain specific issues that marked the divide between Catholic and Protestant, and—believe it or not—salvation by faith alone was not one of them. While there were disagreements over such issues, the issues arousing Catholic persecution were all matters of authority. Two of the more major issues, especially in Germany, was the rejection of monasteries and the rejection of celibacy among priests. Thus, when Walter Mill married immediately upon his return to Scotland, the situation was ripe for Catholic persecution. Local bishops ordered him to be watched, found the heresies that they knew they would find, and had him imprisoned in the castle in St. Andrews. There they threatened him, and when threats didn't work, promised him a comfortable retirement as a monk in the Abbey of Dunfermline. He despised the threats and rejected the promises. The bishops then brought him to the metropolitan church of St. Andrews for examination. For some reason that I have never yet understood—for this sort of leniency is common in martyr stories—they let Walter Mill preach first from the pulpit, thus inspiring every Christian present. I can only guess that the bishops had not paid enough attention to Walter's heresy, and they thought he would embarrass himself by preaching non-Catholic doctrines. However, since his doctrines came from the Bible, and since he was rejecting doctrines that God himself wanted to overthrow, his preaching was not embarrassing but powerful. Finally, one of the priests, a bit wiser than the bishops, arose to stop him, ordering him to move on and answer the accusations against him. Salvation by Faith Alone did not strike at Roman Catholic authority. Denying the seven sacraments did. The medieval Church's power was in the sacraments. At the altar in the mass they called down Christ from heaven and sacrificed him anew in a "bloodless sacrifice." In confession they forgave sins, and at last rites they ensured mercy from God as a person passed. The seven sacraments are baptism, communion, confession, confirmation (laying on of hands to receive the Holy Spirit), marriage and ordination (one or the other, never both), and extreme unction (or last rites). Most medieval Catholic persecution happened when Christians refused to acknowledge the transformation of the bread of the Eucharist into Christ's literal flesh and blood. One interesting moment occurred when the priest addressed Walter as Sir Walter Mill. Walter rejected this and asked the priest to address him as just Walter, saying, "I have been one of the Pope's knights too long." Catholic Accuser: You say there are not seven sacraments. Catholic Accuser: You are against the blessed sacrament of the altar, and you say that the mass is wrong and idolatry. Walter Mill: A lord or king sends and calls many to a dinner. When the dinner is ready … men come to the hall … but the lord turns his back to them, eats by himself, and mocks them! That's what you do! Catholic Accuser: You deny the sacrament of the altar to be the very body of Christ really in flesh and blood. Walter Mill: As for the mass, it is wrong because Christ was offered once on the cross for men's trespass and will never be offered again. He ended all sacrifice there. Catholic Accuser: You preach secretly and privately in houses and openly in the fields. Walter Mill: Oh yes! And on the sea also, sailing in a ship! Catholic Accuser: Will you recant your erroneous opinions? Walter Mill: I will not recant the truth. When the interview was over, the accuser pronounced sentence on Walter. He was to be burned. However, Walter had done great damage to the cause of Catholic persecution. Patrick Lermond, the provost of the town, refused to provide secular judgment for the bishop. The bishop's chamberlain likewise refused. This was a problem because Catholic persecution had to be performed through the secular government. The priests and bishops were not really supposed to put people to death themselves. They avoided this by ordering the secular authorities—who were usually only too glad to comply—to do it for them. The whole town was so offended with his unjust condemnation, that the bishop's servants could not get for their money so much as one cord to tie him to the stake, or a tar-barrel to burn him; but were constrained to cut the cords of their master's own pavilion, to serve their turn. It is not that surprising that Catholic persecution would have trouble finding a home in Scotland. 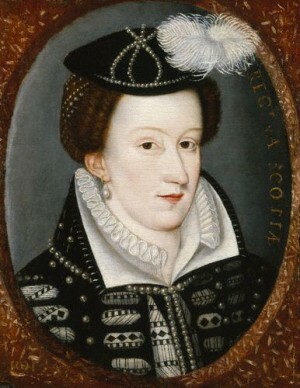 The Scottish Reformation would begin in just two years, and Mary of Guise, reigning in the place of her absent daughter, had shown some favoritism to Protestantism in her early years. The Roman Catholic Church was likely not popular at this time. 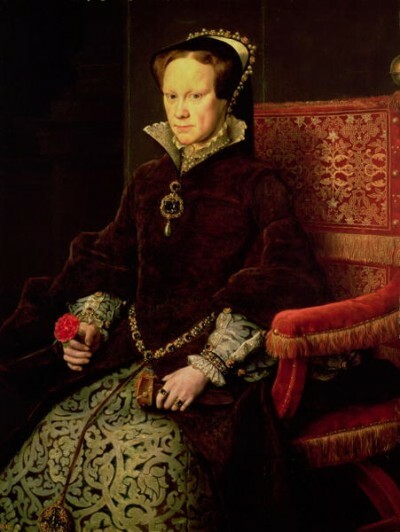 In England, Mary Tudor, known as "Bloody Mary," was trying to quell Protestantism by shedding the blood of Puritans, but she would die the same year as Walter Mill. Obviously, though, they found a secular judge, else this wouldn't be a martyr story. A man named Alexander Somervaile took the job and brought Walter to the fire. put to death by Bloody Mary in 1556. The closer they got to the place of execution, the more, ahem …, fired up Walter became [sorry]. He had not been in good health, but now he seemed full of life, and a fire burned in his cheeks that was more impressive than any fire his Catholic persecutors could whip up. Walter asked to speak again before he was burned, and this time his accusers were smart enough to deny him. It was too late, though, the people shouted them down. They were forced to let Walter speak. This was going to be a bad day for the continuation of Catholic persecution and the maintenance of the Catholic cause. Dear friends! The cause for which I suffer this day is not for any crime—though I am a miserable sinner before God—but only for the defense of the faith of Jesus Christ as set forth in the New and Old Testament for us all! Just as the faithful martyrs offered themselves gladly for the faith in the past, being assure of eternal happiness after the death of their bodies, so today I praise God that he has called my by his mercy to seal up the truth with my life. I have received my life from him, so I willingly offer it up to his glory. Therefore, since you will escape eternal death, do not be seduced by the lies of priests, monks, friars, priors, abbots, bishops, and the rest of the sect of Antichrist, but depend only upon Jesus Christ and his mercy so that you may be delivered from condemnation. Apparently I'm not the only one to use puns. John Foxe goes on to mention that the hearts of the crowd were set aflame. Walter Mill died continuing to exhort the people even from the fire. His words did not fall on deaf ears. Within a couple years, the people would burn the images kept in the great Church of the abbey, which were worth more than the church and abbey combined. Christians cannot perpetrate vengeance by violence on other humans, but it is fitting that the images of the harlot church of the middle ages should be burned in the same place that God's martyr was burned in the midst of Catholic persecution. The moment one definitely commits oneself, then providence moves, too. All sorts of things occur to help one that would never otherwise have occurred. A whole stream of events issues from the decisions, raising in one's favor all manner of unforeseen incidents and meetings and material assistance which no man could have dreamed would have come his way. Whatever you can do or dream you can, begin it. Boldness has genious, power and magic in it. Begin it now.